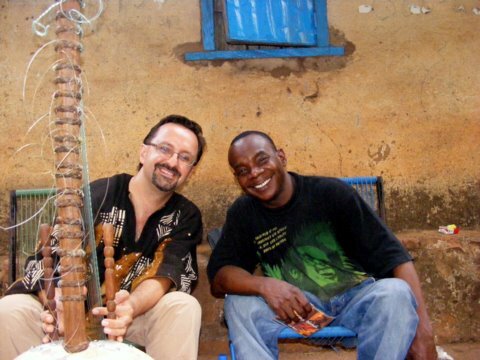 Yes, somehow I managed to wangle a kora lesson from the great Toumani Diabate himself (blogged about here). 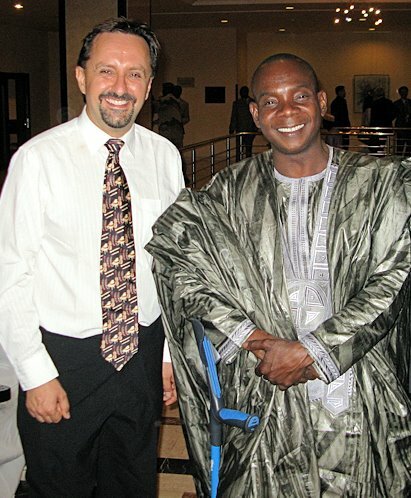 Afterwards, a colleague encouraged me to go up and greet him, so I did (in my best Bambara). Turns out he speaks excellent English! Last week, we had some days in Ségou, about 3 hours’ drive north-east of Bamako. One of the highlights of the trip was visiting a village where there is lots of pottery. Have a look at the short video below of our visit, showing traditional Africa pottery methods. Enjoy! 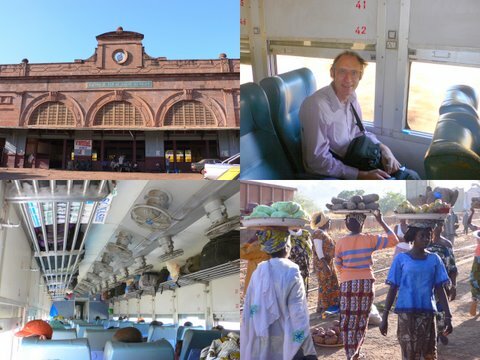 Yes, Bamako has a regular (but infrequent) rail service all the way to Dakar, Senegal! I took a short ride one one of the trains a while back (with my mate Clive) and was impressed by (i) the punctuality of its departure (only about 15 mins late) (ii) the state of the locomotive (nicely painted and running well) and (iii) the quality of the carriages – quite comfortable. Also, you even get numbered seats, so you know exactly where to sit and that you will get a seat! Trains only run about three times a week, so it’s worth checking which days in advance! 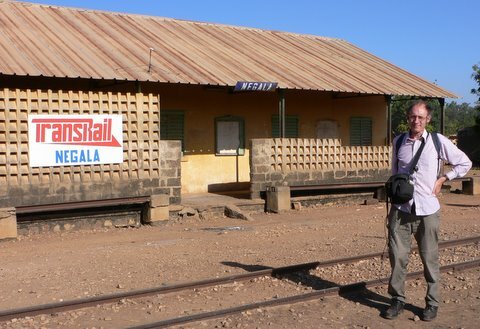 That’s Bamako station and – like all stations and jazz clubs – it’s in the ‘dodgy’ part of town. Oh, and the ceiling fans look very nice, but didn’t actually work! Of course, at every stop you get the ladies coming to your window selling bananas, yams, peanuts, oranges…you name it. Very handy! It was a very pleasant trip, which we did in just one morning: we left Bamako and travelled about three stops NW to the village of Negala. We had to pay for a ticket further, but this far took an hour or so and only cost a few pounds. Nothing much to see there – just a typical African village – but the journey was fun and some quite nice views too. From there, the return journey was simple and cheap: a ‘bush taxi’ was waiting at the edge of the village (by the main road) and took us back from about £1.30 each! Don’t expect a comfortable or spacious ride back, but it will definitely be a cultural experience! It’s not unusual to share your space with sacks of rice, live chickens or breast-feeding mothers! 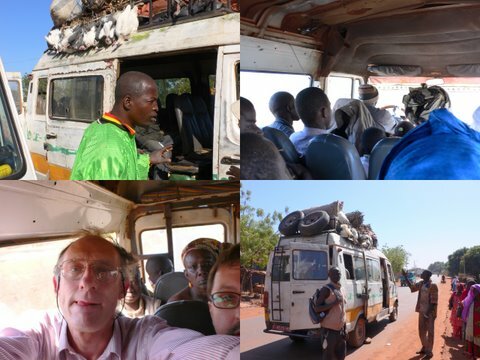 In fact, ours actually broke down on the outskirts of Bamako and we had to walk/taxi our way home! Such fun! 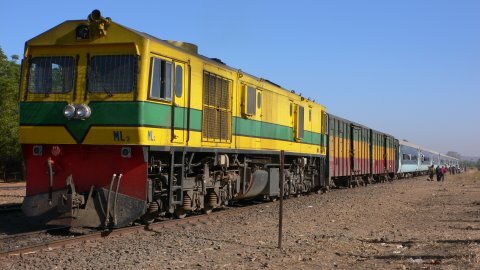 So, if you’re looking for an interesting public transport experience in W Africa, look no further! Bon voyage! Where in the World is Rob Baker?? Nope – try again! SINGAPORE!!! Yesterday, I visited a night-time zoo; sounds strange, but it was wonderful! 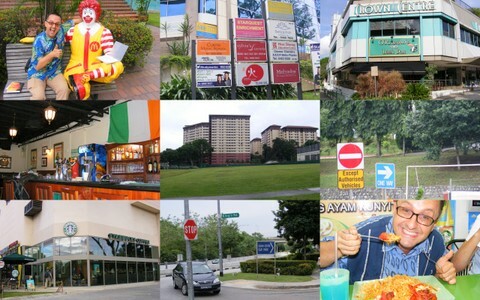 There’s also a whole district called ‘Little India’ (not to be confused with Little Britain!) Dozens of Indian restaurants, shops and market stalls – fascinating! Just don’t spit, chew gum, J-walk, make too much noise or eat/drink anywhere public and you’ll be fine!